The Science and Technology Ministry of Israel has announced they intend to subsidize a new, Israeli-built, communication satellite, according to reports in The Jerusalem Post. 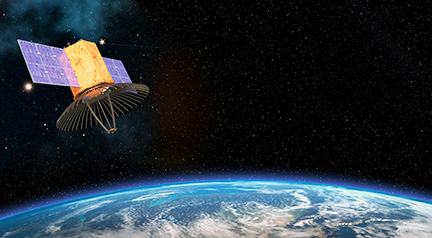 This satellite, which will be built entirely by Israel Aerospace Industries, will have “long-term strategic significance and is relevant to all the critical, existential needs of the State of Israel,” Science and Technology Minister Ofir Akunis said. The AMOS (Affordable Modular Optimized Satellite) series is operated by Spacecom, a Ramat Gan-based communication company. Communication with AMOS-5, a previous version, was lost in November of 2015. Spacecom subsequently suffered the loss of AMOS-6, which was destroyed in a fire during its launch at Cape Canaveral, Florida, on September 1, 2016. Following that loss, a cross-ministry special committee, headed by director-general of the Ministry of Science, Technology and Space Peretz Vezan was established, which recommended to fund the construction of the newest version. The decision to develop Israeli space industry infrastructure and expertise was based on the need to reduce the cost of the satellites, and so that Israeli space industry will better compete in the developing space market. The project is expected to take four years to be completed, and the life expectancy of satellites is estimated as 15-20 years.